Welcome to webworldcenter.com! Were you aware that over 70% of all Internet users in the USA and Pakistan have made purchases as a result of email marketing? ! If you are looking for an effective way to market your products or services online, bulk email marketing is the method of choice for the most successful online businesses. 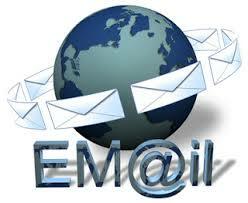 However, there is a right way and a wrong way to market your business or organization via email. Advertise your Products or Services! Increase your Business Sales and Income! The cheapest alternative of snail mails. Entries of Pakistani Companies with Company Names, Business Types, Brands Name, Mailing Addresses, Cities, Phones, Faxes, UAN, Email Addresses, Contact Person Name and Mobile No etc. This list is categorized into more than 200 Business Types! It is available in Microsoft Excel form and it can easily be exported to Outlook Express, CSV, TXT or Microsoft Access. At first, we collected about 2 Lac email addresses from Pakistani Yellow Pages, Business Directories, popular newspapers, visiting cards and business web sites, after that we validated them manually (removed bad/bouncing addresses from this list) and we finally got 46,000+ email addresses & Phone records out of 2.5 Lac addresses. We can also send your emails to these directories using our fast and smart software as we have ability to send 10,000 emails in 3 hours. Prices are given below. please contact us if you need any help. Please contact at [email protected] for email directory and marketing services.